Last summer, two influential reports by Sir Oliver Letwin and the House of Lords Science & Technology Select Committee gave further backing to offsite manufacturing as a way of delivering better, faster construction, improved health and safety and greater sustainability, while counteracting the longstanding issues of labour and skills shortages. As of 2019, the government has introduced a presumption in favour of offsite for all publicly funded construction projects. 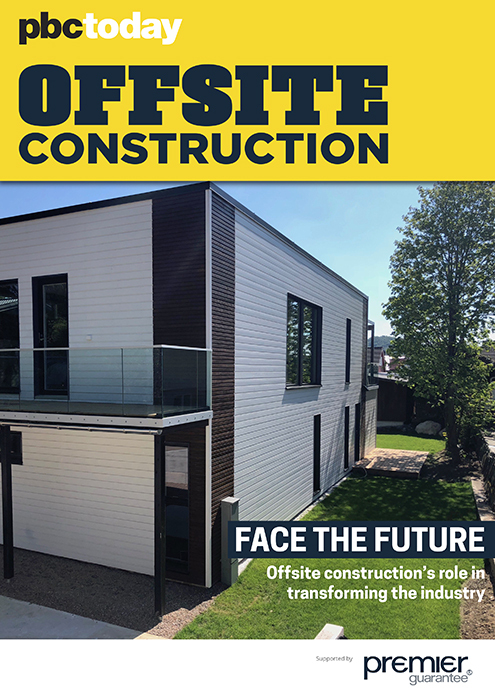 This ebook looks at the growing profile of offsite construction and some of the key agencies driving forward its adoption in housing and beyond. Alex Lubbock of the Infrastructure & Projects Authority, the government’s centre of expertise for infrastructure and major projects, discusses how Modern Methods of Construction such as offsite are helping to reshape the sector, driving improvements in productivity, quality and performance. He also looks at efforts to tackle barriers to adoption and ongoing work to create the mechanisms that will help overcome the technical, commercial and cultural challenges involved in the shift to a presumption in favour of offsite. Meanwhile, Sam Stacey, challenge director of Transforming Construction at UK Research & Innovation, looks at the launch of the Core Innovation Hub. This new centre aims to take advantage of a “once-in-a-lifetime” opportunity to transform the industry by supporting collaboration across digital, manufacturing and construction to bring new products and technologies to market. Elsewhere, Dennis Seal of Buildoffsite examines the challenges and opportunities facing the offsite sector and the growing support for it to take a leading role in addressing the housing crisis. Finally, TRADA’s Lewis Taylor charts the evolution of offsite timber frame construction into a fully modern method of building, with engineered wood products and factory manufacturing helping to deliver a new generation of high quality, cost-effective and sustainable buildings.